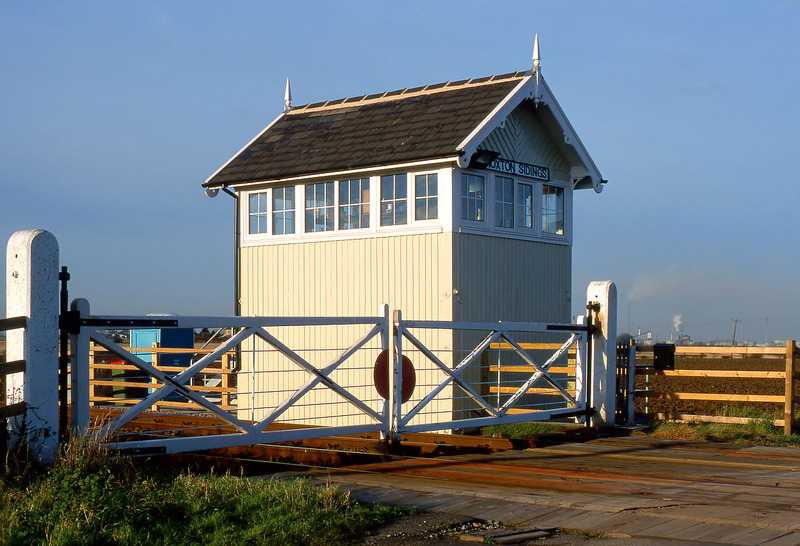 Roxton Sidings Signal Box, on the Barnetby to Grimsby line, was erected by the Manchester, Sheffield and Lincolnshire Railway in 1883. As well as overseeing the gates on the Immingham to Keelby minor road, it also controlled access to a single short siding, shown on the 1905 25 inch Ordnance Survey map as Immingham Siding. This was of course long before the port of Immingham with its associated maze of sidings was constructed. The box is pictured here on 8 December 2001.